Yianna was born and raised in Cyprus. At the age of 19 she left for her BA Degree in Experimental Filmmaking in the United States. After her studies were concluded, she worked as a Production Manager and a Director in Cyprus. At the same time she continued writing for film and her short films entered various Experimental and Fiction Short Film Festivals. In 2000 she concluded her MA Degree in Film and Television Production, at Bristol University, UK after she received a Chevening Scholarship. She has worked for BBC Bristol as a Researcher and Production Assistant. She has also worked for BBC Drama as a Script Editor on TV Series ‘ Casualty’ and ‘Doctors’, while at the same time she worked as a Picture Editor and continued writing for film. Her short films have entered numerous International Film Festivals such as το Rotterdam International Film Festival, Hamburg Short Film Festival, Oberhausen International Film Festival, Drama International Film Festival, Sao Paolo International Film Festival, Mediterranean Short Film Festival of Tangier and many more. Her films have won international recognition and awards. Tasos Anastasiades holds a BA in Graphic and Advertising design and a Masters Degree in Visual communication. In 2000 he started teaching in various private Art Schools and He also founded his own art school, I.T.OMIC Art Studio. Since 2004 he has been employed by the Cyprus College – European University Cyprus, teaching Graphic Design. As a Visual Artist and Designer, he has worked with many advertising agencies and has undertaken many graphic design commissions. His Creative Designs involve the exploration of experimental graphic design techniques, illustration, image manipulation, comic book designs and 3d digital modeling. In 2004 he started publishing the “Plastic Comics” magazine, the first comic book created and published by a Greek-Cypriot in Cyprus. Ever since his work has been published and reviewed in many magazines and websites in Cyprus, Greece, Europe and the USA. In 2006 and 2009, he won Distinctions for young artist in the Annual Greek Comic Book Competitions in Greece organized by the magazine “9” of the Greek newspaper Eleutherotypia and Akto Art & Design University. Recently, his visual work was presented at the official European World of Warcraft website gallery. Christos Andreou received his MA in Visual Communication from UCE University of Central England Birmingham in 2001 and his BA (HONS) in Graphic Design from UWE University of the West of England in 2000. His first academic post was in 2002 at the Art Design & Communication department of Frederick Institute of Technology Cyprus. He is currently a Lecturer of the of Applied Arts Department of the School of Architecture, Fine and Applied Arts at the Frederick University in Nicosia, Cyprus. An interdisciplinary Visual Communicator with research interests and visual practice that explores several media such as graphic design, typography, motion graphics, video art and sound in relation to the visual. He participated in several Design and Art exhibitions in Cyprus and abroad. He has worked as a Video post-production Director at Telia&Pavla/BBDO one of the leading advertising agencies of Cyprus and a member of the BBDO international group from 2001 to 2002. He had continued collaborating with the same agency as an associate freelancer until 2008 and has been a member of the CCC (Cyprus Creative Club) a member of the ADC*E (Art Directors of Europe) since 2006. Poppy Aristidou (b. 1978, Nicosia – Cyprus), is a lecturer in the Applied Multimedia program, under the Department of Design & Multimedia, at the University of Nicosia (2003-present day). Taught courses in storyboarding, 2d animation, interaction design and special effects. She holds an HND Degree in Graphic & Advertising Design from Frederick Institute of Art & Design (Cyprus), a BA Degree in Graphic Design, from the University of West of England (UWE Bristol, UK), and an MA Degree in Interactive Multimedia from Bath Spa University College (Bath School of Art and Design, Bath, UK). Her main interests/specializations and research areas include interaction design, visual storytelling, 2d animation, animation techniques, motion graphics, and virtual reality(VR) environments. Aside from her teaching responsibilities, she has been involved in various exhibitions, research collaborations(a most recent in virtual reality motion tracking in VR ), taught applied multimedia workshops in various education sectors, art directed projects, start-up mentoring, , core member in organizing international conferences; TEDX, University of Nicosia based in Cyprus, participated in a Comic Convention in Malta representing Cyprus, and mostly contributing to society creating promotional graphic work for various awareness campaigns, such as Run In Colour 5k Marathon Run supporting children with cancer. Marianna received her Bachelors degree in Theater Studies from The National Kapodistrian University of Athens, Greece and got her M.F.A. in Cinematography at the Academy of Art University in San Francisco, CA, USA. 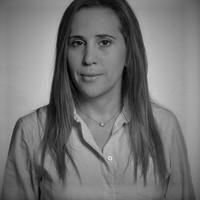 She has been working as a Director of Photography for several years both in Europe and in the United States. Her mentor Jamie Metzger, who is well known for Transformers, Pirates of the Caribbean, 90210 etc., has trained her in Digital Imaging for films. She has worked in features and short films, as well as in commercials, for many large companies such as Nike, Reebok, Nintendo, Trend Micro, Chevy etc. Many of the movies she worked on received national and international recognition and awards. She’s collaborated with professionals in Cyprus, Greece, San Francisco, Los Angeles, New York, Boston, and Miami and she has had the privilege to work for directors from around the United States, Austria, Greece, Africa, The Netherlands, and Norway. Demetra Englezou holds a Master’s degree in Computer Animation from the National Center of Computer Animation at Bournemouth University 2001 and a B.A in Graphic Design from the University of the West of England Bristol in 2000. She has worked in Broadcasting and Satellite Companies since 2004. She has created a large number of animated short films and Motion Graphics and participated in International film festivals, exhibitions and art projects including the International Panorama of Independent Film and Video Makers (Patras), International Short Film Festival in Drama 2008, 2nd Moving Frames International Festival 2010, 2nd X-dream Art Festival 2010 and the 6th Animafest – Athens International Animated Film Festival 2011. As a 3d Animator she has produced 3d television ads for major companies including Vodafone, Cyta, Honda, Hellenic Bank, Bank of Cyprus, Porsche, B.M.W etc. Demetra Englezou has received the first Pancyprian Award for the Logo design competition for the Office of the Cyprus Telecommunication Controller Officer OCECPR 2004. She is an instructor at the Department of Arts at the European University Cyprus. Her research interests are based on the Motion Graphics & Broadcast Design as well as 3d Computer Animation. Sophia Hadjipapa-Gee, is an artist and academic, living in Cyprus. Sophia is Associate Professor and a board member of the Research laboratory “Cultural Studies and Contemporary Arts”. She is also one of the founding members of the International Motion Festival and has been serving at its board from various positions. Currently she is coordinator of Workshops and the Single Channel Award Committee. She has a BA in Painting from the National Academy of Arts of Sofia, where she also completed an MA degree, in Painting and a PhD in Art History and Theory. Besides painting she has worked on video art, interventions in Public spaces, participatory projects, illustrations of poems, covers of books and has been involved in Public art, which works have been presented in numerous international festivals and exhibitions. Sophia Hadjipapa has been coordinating the International Painting and Sculpture Symposium in Samokov Bulgaria, since 2016. 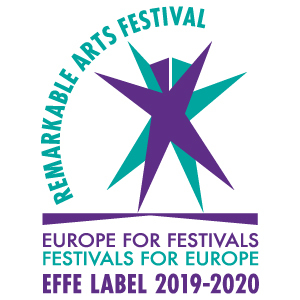 She also co-curated The International Urban Emptiness Nicosia Festival, 10-16 December 2017, Nicosia, Cyprus. She has served in various professional bodies including sitting on the committees for the Selection of Works and Artists for Biennales and serving as academic expert on the committee for composing the New National Curricula in Art, of the Cyprus Ministry of Education and Culture. Theseas graduated from Central Saint Martins College of Art & Design in 2003 with a Master’s degree in Communication Design. He also holds a BA degree in Graphic Communication from the University of the West of England as well as a diploma in Graphic and Advertising Design from the Frederick Institute of Technology in Cyprus. He taught Graphic and Advertising Design for eight years in tertiary education in Cyprus and since 2003 he is the Creative Director of Cherrycube Design Studios Ltd in Cyprus. He is currently working as a Special Teaching Staff at the Multimedia & Graphic Arts Department of the Cyprus University of Technology. He has participated in several international design exhibitions and biennials and his work has been acknowledged in various publications both locally and internationally. 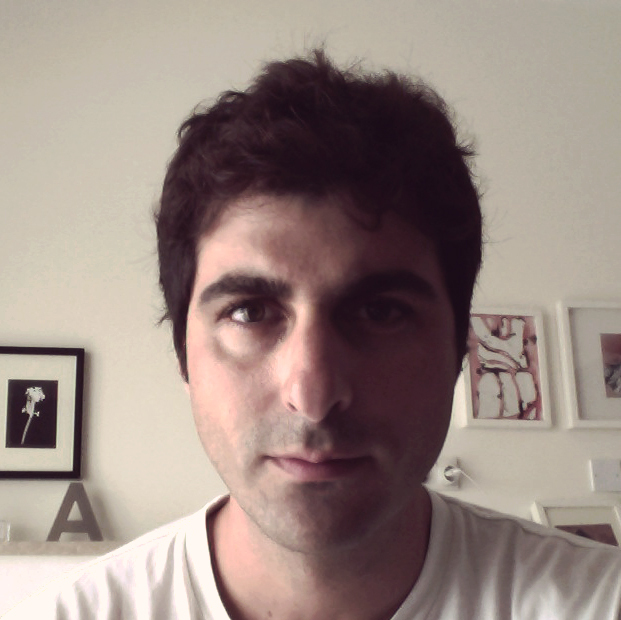 He has also participated in several international judging committees on various Graphic & Advertising Design areas, he is a member of Information Design Association in London (IDA) and a member of the Art Directors Club in Cyprus. Nicos Synnos is an Animator, Designer and Director. He holds a Master’s in Visual Communication with concentration on Cartoon Imagery and Animation from BIAD, Birmingham City University (former UCE) and a BA(Hons) in Visual Communication – Graphic Design from the University of Wolverhampton and California State University in Long Beach. He worked in the film, television and internet industries in New York and London and formed “toonachunks” an experimental film and animation studio in Cyprus. As an Animator /Filmmaker he participated in several film festivals in Europe, U.S.A. and Canada. 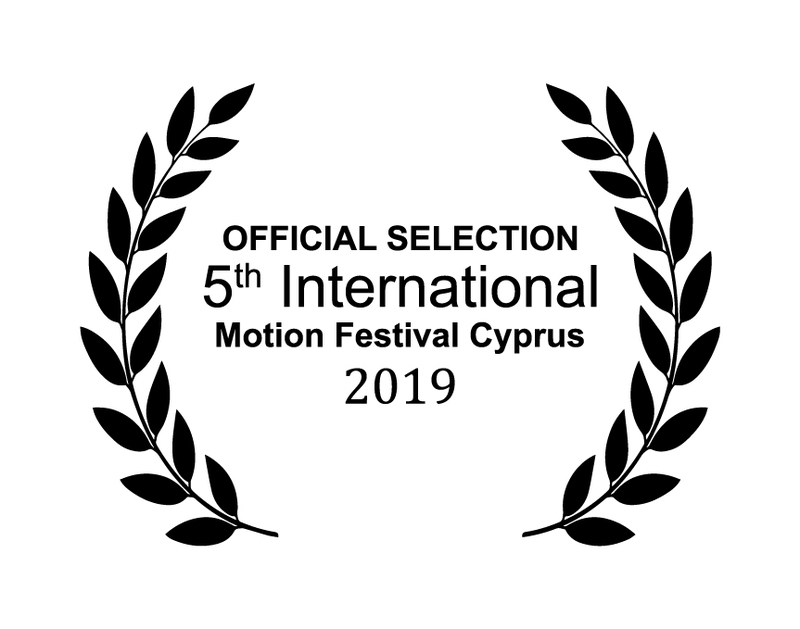 He is a member of the organizing body of two international film festivals in Cyprus (Nicosia Documentary Festival and Countryside Animation and Documentary Festival). He is a Special Teaching Staff at the Multimedia and Graphic Arts Department of the Cyprus University of Technology and a PhD Candidate in Experimental Animation. His research interest focuses in animation, graphic communication, experimental filmmaking and the creative process and results, from the use of hand made, camera less and digital animation techniques, along with alternative projection methods. 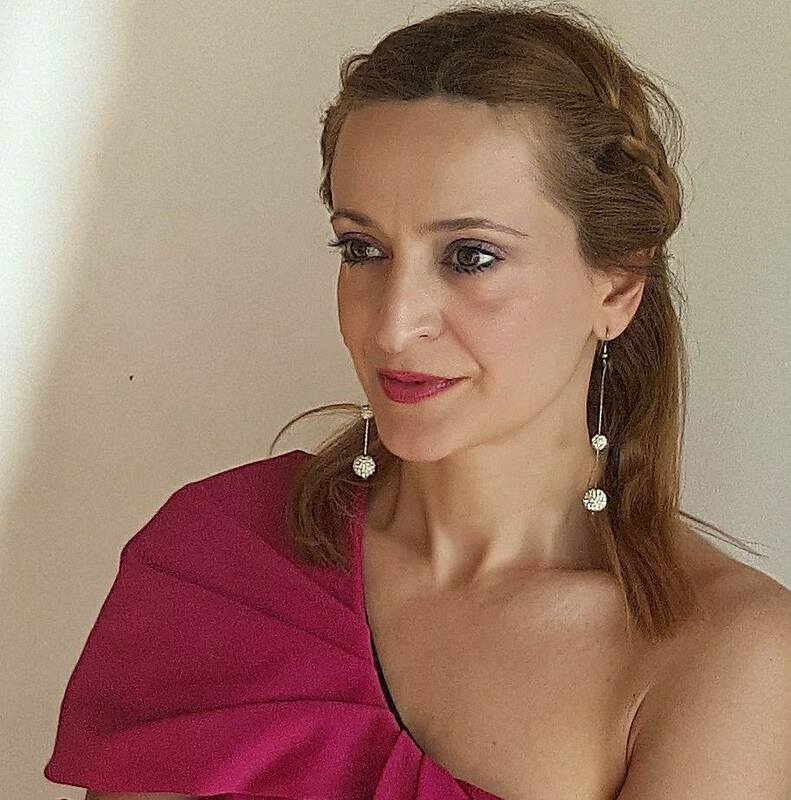 Maria Christoforou holds a Master of Arts in interactive Multimedia, a Bachelor of Arts in Graphic Communication, an Associate degree in Science and a degree in secretarial and accounting studies. She studied at the University of the Arts, London School of Printing, the University of Nicosia, the University of Indianapolis and Pitman’s College. She has mounted five solo exhibitions and participated in various group exhibitions and international festivals. Maria also participated in many workshops, seminars and conferences in Cyprus, UK, Germany, France and Portugal. She has gained many honorary diplomas and other awards such as Third Prize in the PlayStation Awards for the interactive movie “Elements”, (London 2002). Maria co-ordinates interactive educational performances for children and adults that integrate digital art and challenge audience senses. Additionally, Maria has two book publications. 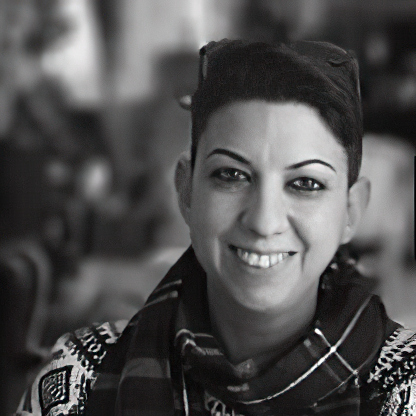 She lectures in the Department of Design and Multimedia at the University of Nicosia. Maria holds a full time position since 2006. Moreover, he worked as full time Special Teaching Staff at the Department of Applied Arts at Frederick Institute of Technology. He is an active member of Semiotics and Visual Communications Lab and a founding member of the Cyprus Semiotics Association. He is also a founding member and the current secretary of Cyprus Graphic Design & Illustration Association.